Mary Elizabeth Jenkins was born in May or June of 1820 near Waterloo, Maryland. At the age of 17 she married 28 year old John H. Surratt. They moved to an area of Washington DC, now known as Congress Heights. Mary had three children with John, they were Isaac, Anna and John Jr. (AKA the problem child). Her husband operated a tavern, post office and polling place in an area now known as Surrattsville. There was some suggestion that their business may have been an underground haven for Confederates. Her older brother, Zadoc Jenkins, was arrested by Union forces for trying to prevent the occupying Federal soldiers from voting in the Maryland elections. This will not be the last time Americans will have a problem with voter suppression. Note, this was for the election that gave Lincoln a second term, and emotions were high. During the Civil war John Jr. became a Confederate spy and messenger and he became acquainted with John Wilkes Booth. After John Sr. died Mary rented out the tavern and farm, and then opened a boarding house in Washington DC. Booth and several others became frequent visitors to her establishment. It was clear that Jr. was involved in the plot to kidnap Lincoln, but he was not in DC at the time of the assassination, historically it is unclear if Mary knew of the activities. I know my mother didn’t know what was going on in our house. (Yeah Right). So the middle of this story evolves at Ford Theater with John Wilkes Booth and Abe Lincoln at the incomplete showing of Our American Cousin. The investigation indicated that this was not a two-man operation and an unseen supporting cast was pulled into the story. There was an involved kidnapping and/or assassination plots not only the President, but also Andrew Johnson the VP and William Seward the Secretary of State. It appears that Booth was the only one who fulfilled his portion of the plan. Never sure if Mary was involved, or if they simply met at her boarding house, she was tried. There are still questions on the truth and fairness of the military tribunal trial. Surely she was aware of the abduction plot, but they couldn’t tie her with the assassination. There is some belief that she was arrested and tried in an attempt to get her son to step forward. Even though her guilt was questionable, she was hanged on June 29, 1865 with several of the plotters. The men involved with the kidnapping plot were sentenced to life. This group included Dr. Samuel Mudd, who had set Booth’s broken leg after his escape from the crime scene. Edward Spangler, a stagehand at Ford’s Theater, was given six years for abetting Booth’s escape. John Jr. was tried before a civil court. The jury was divided for acquittal but he was not released from prison until June 1868. The hanging of his mother is generally considered to have been a gross miscarriage of justice. The prosecution never established that Mary knew of the abduction plot, and it is fairly clear that she was not part of the assassination plans. 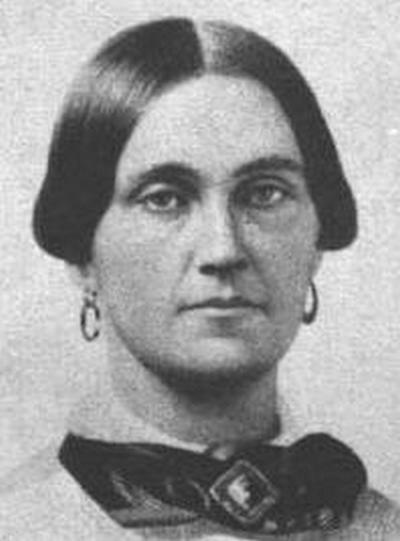 Booth’s diary and other evidence that might have cast doubt on the prosecution’s case were suppressed by the government, and it is generally believed that some of the testimony against Mary Surratt was false. Even with the questions about the details of her involvement she uttered her last words “Don’t let me fall.” A moment before she swung. This all started with marrying an older man, while still in her teens, and pampering the baby. Lesson noted!